Malaysia - I love you! 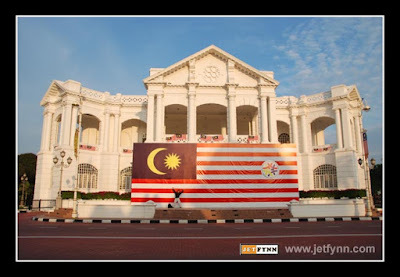 As we were going to the Ipoh Town Hall to cover an Indian Wedding, we were scouting around for a nice surrounding for us to shoot some scenic shoot and we found just the right thing. 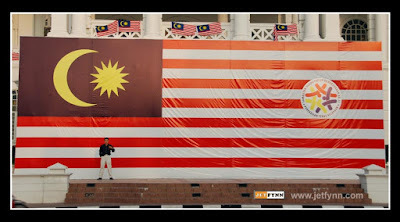 and it's a Malaysian Flag. By being under the flag raised a lot of emotional feelings, a sense of responsibility and belonging.